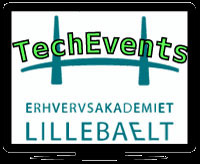 Tech events at EAL is part of our efforts to create an environment, where students, staff and others work and play with technology. We will create events to showcase what our students can do and invite companies to participate and present - with the goal of sharing our love for technology and it's applications. Are you organizing Computer club? Are you an organizer of Computer club ?